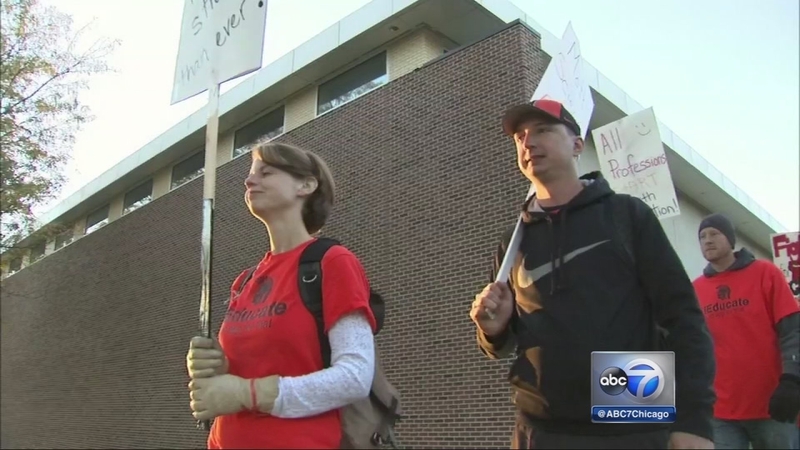 CHICAGO (WLS) -- Striking teachers in McHenry District 156 are expected to be back in negotiations Friday afternoon. More than 2,500 students at McHenry West and East high schools were out of class again Friday. In addition to classes, extracurricular activities have also been cancelled. The major negotiating issues are salaries and paying for health care.